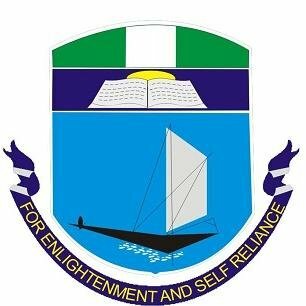 University of Port-Harcourt (UNIPORT) Centre for Medical Research and Training (CENMART) Postgraduate Diploma [PGD] in Medical Education Admission Form and Application Guidelines for 2018/2019 Academic Session. Applications are invited from suitably qualified candidates for admission into the University of Port-Harcourt (UNIPORT) Centre for Medical Research and Training (CENMART) Postgraduate Diploma Programme in Medical Education (PgD Med Ed) for 2018/2019 academic session. Medicine, Dentistry, Basic Medical Sciences, Pharmacy, Nursing, Physiotherapy, Radiography, Medical Laboratory Science, Biochemistry, Microbiology, Veterinary Medicine, Biotechnology, and any other medicine-related course. Aside from Medical and Dental graduates whose certification is a "Pass" requirement, other candidates must obtain a CGPA of not less than 3.00 on a 5-point scale or 2.5 on a 4-point scale. Application is online. Log on to www.uniport.edu.ng, scroll down to Centre for Medical Research and Training (CENMERT) PGD Medical Education. Click and follow the steps in application and registration process. West African Examination Council Certificate(WAEC) and/or General Certificate of Education(GCE), O’ Level Certificates. Apply for, follow up and cause Transcript to be sent to CENMERT WITH THE TRANSCRIPT LABEL through the CENMERT Administrator. Await receipt of Offer of Admission after admission processes which may include interview. Collect Admission Letter from CENMERT Office on Submission of teller for payment of Acceptance Fees. Register and Collect Registration Pack after payment of School fees. Email: cenmert@uniport.edu.ng Visit the Centre Office within the University of Port Harcourt Teaching Hospital (UPTH), Opposite Accident and Emergency block, near the MTN Mast.